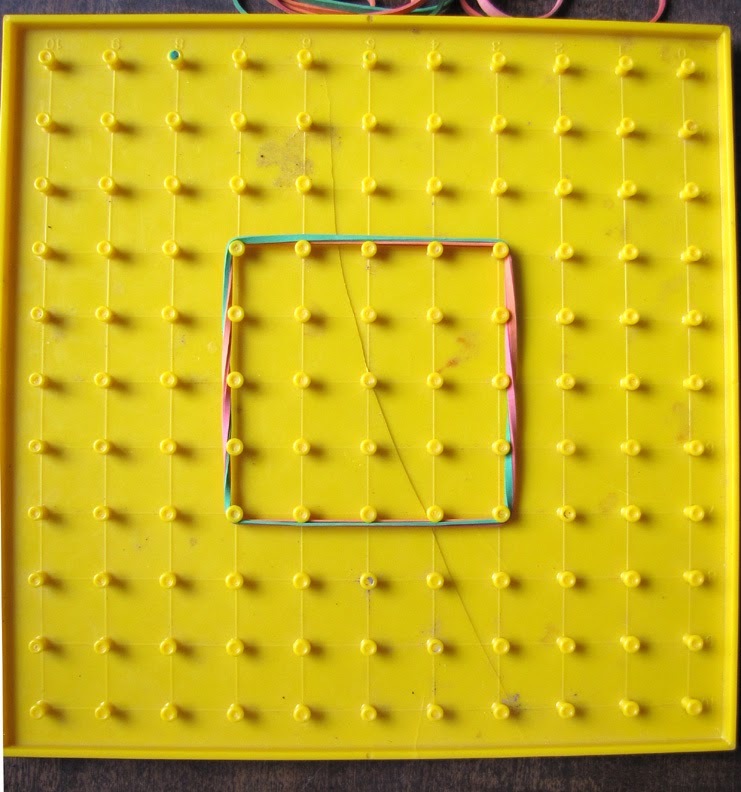 Maddie likes to play quite often with the geoboard. She makes random designs, as well as things tidy and even. Yesterday I had the thought that the three of us could play together and challenge each other… while showing how we individually think as well as seeing that others have different ways of expressing, thinking, and creating. One of us would call out a shape, and another would call out a number. 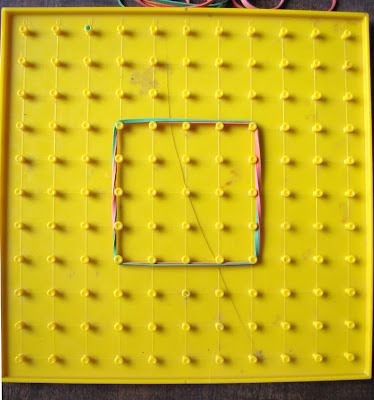 The third person would get to create said shape with how ever many rubberbands were called. The object of the game is not to do it “right” – evenly or as anyone else would prefer, but to acknowledge and rejoice that there are a lot of different challenges and options. It’s a very simple game, and quite stimulating and thought-provoking, as well. Thinking games are always good!